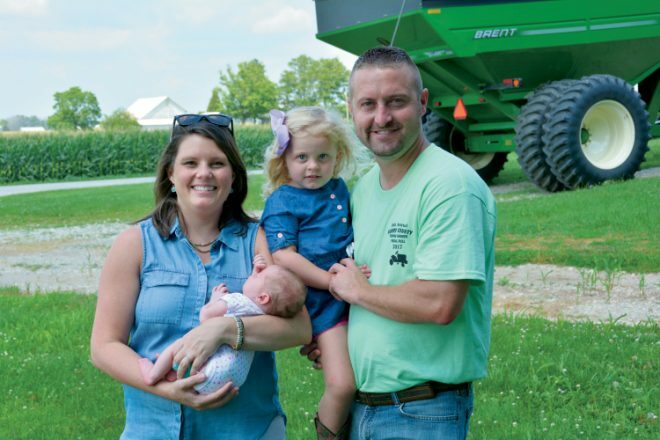 The winners of the 2017 Indiana Farm Bureau Young Farmer Achievement and Excellence in Agriculture awards demonstrate two of the many ways people can be involved in agriculture. 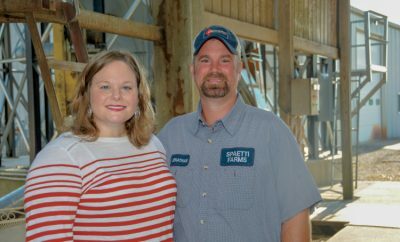 Matthew and Brianna Chapman, winners of the Achievement Award, raise grain and pigs in Henry County. 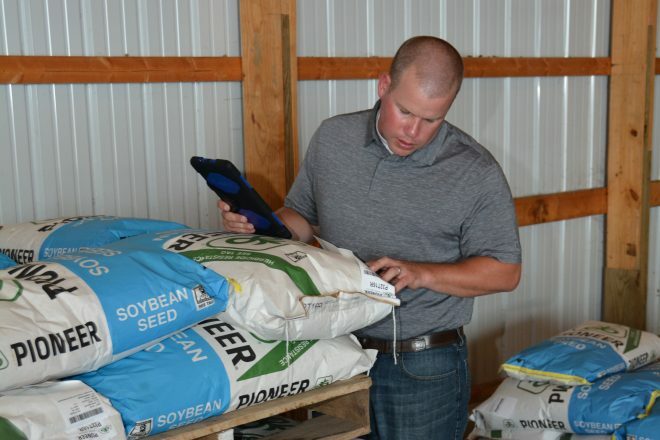 Jeff Demerly of White County, the Excellence in Agriculture winner, sells seed for DuPont Pioneer and provides general profit consulting and crop insurance risk management. Young farmers who earn the majority of their income from their farms compete for the Achievement Award. The Excellence in Agriculture Award recognizes young farmers who do not derive the majority of their income from a farm operation they own but who are still actively contributing to and growing from their involvement in Farm Bureau and agriculture. The winners of both contests, along with the winner of the Young Farmer Discussion Meet (who will be selected in mid-December during INFB’s state convention) will advance in January to the American Farm Bureau Young Farmer & Rancher contests, where they will compete against young farmers from across the country. The Chapmans farm with Matthew’s brother, Jacob, and together they raise corn, soybeans, wheat, pigs, and kids. 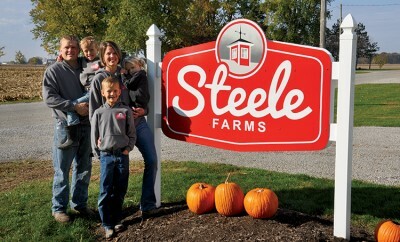 He and Jacob have formed a partnership in order to buy the farm so their father can retire. Matthew’s responsibilities include purchasing inputs, marketing, planting, spraying and crop scouting, and he oversees his father’s hog operation. In addition, Matthew has a custom trucking business, and Brianna owns two retail flower shops. The couple has two daughters, Grace and June. 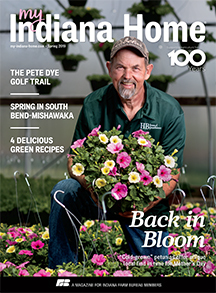 Jeff Demerly worked outside of agriculture when he first got out of Purdue – and he enjoyed it, too. But he realized he was still yearning to get closer to his farming roots. That’s why eight years ago he and his wife, Jenna, moved back to his hometown of Wolcott (not far from where his father still farms) and started their own business, Demerly Ag Plus, where they sell, service, and promote DuPont Pioneer products and provide general profit consulting and crop insurance risk management. They have four children: Adalynn, Archer, Austin and Amelia. Jeff is also the president of the White County Farm Bureau.